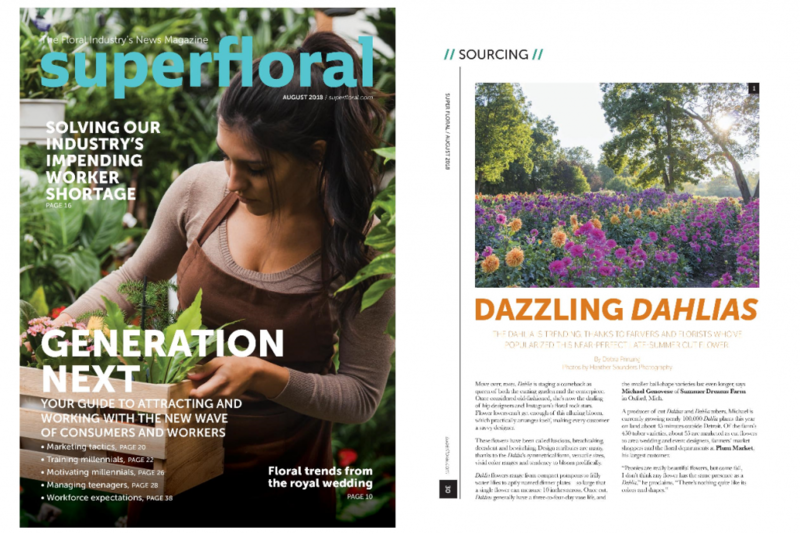 The August Issue of SuperFloral features “Dazzling Dahlias,” and Slow Flowers member Michael Genovese of Summer Dreams Farm in Oxford, Michigan, as well as the famous #dahliawall created by Alicia Schwede of Flirty Fleurs for the Seattle Wholesale Growers Market. Dahlia is staging a comeback as queen of both the cutting garden and the centerpiece. 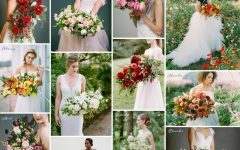 Once considered old-fashioned, she’s now the darling of hip designers and Instagram’s floral rock stars. 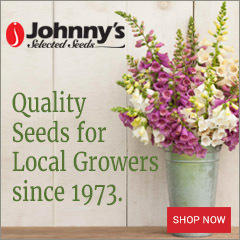 Flower lovers can’t get enough of this alluring bloom, which practically arranges itself, making every customer a savvy designer. These flowers have been called luscious, breathtaking, decadent and bewitching. Design attributes are many, thanks to the dahlia’s symmetrical form, versatile sizes, vivid color ranges and tendency to bloom prolifically. Dahlia flowers range from compact pompons to frilly water lilies to aptly-named dinner plates — so large that a single flower measures 10-inches across. 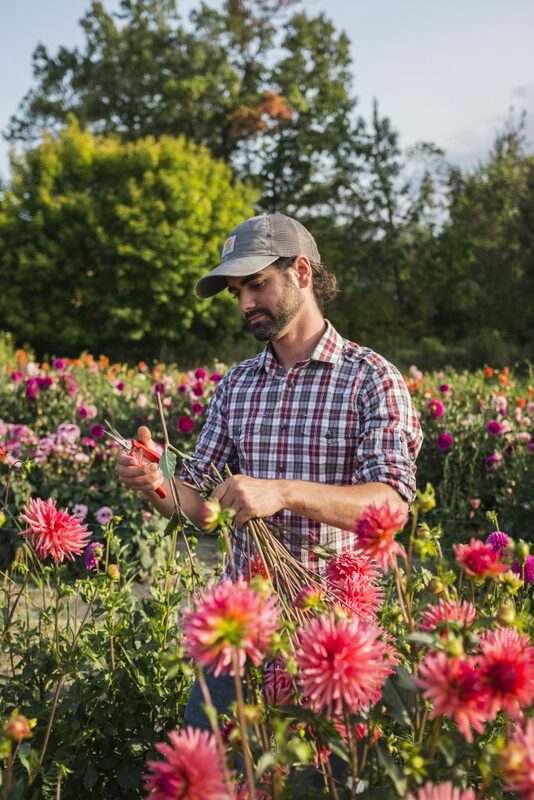 Once cut, dahlias generally have a three- to four-day vase life, and the smaller ball-shape varieties last even longer, says Michael Genovese of Summer Dreams Farm in Oxford, Michigan. A producer of cut dahlias and dahlia tubers, Michael is currently growing nearly 100,000 dahlia plants this year on land about 45 minutes outside Detroit. 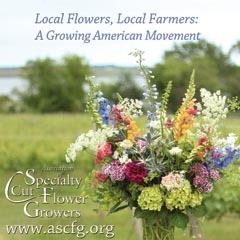 Of the farm’s 450 tuber varieties, about 55 are marketed as cut flowers to area wedding and event designers, farmers’ market shoppers and the floral departments at Plum Market, his largest customer. 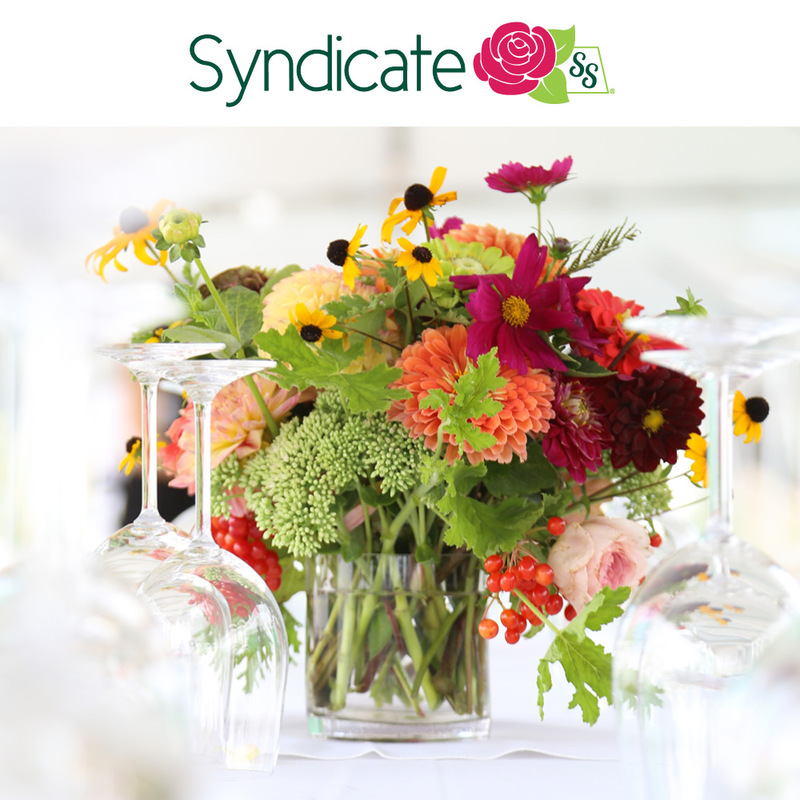 Dahlia season is cause for celebration and you can create a buzz in your floral department with a special display featuring the many alluring attributes of local and seasonal dahlias. 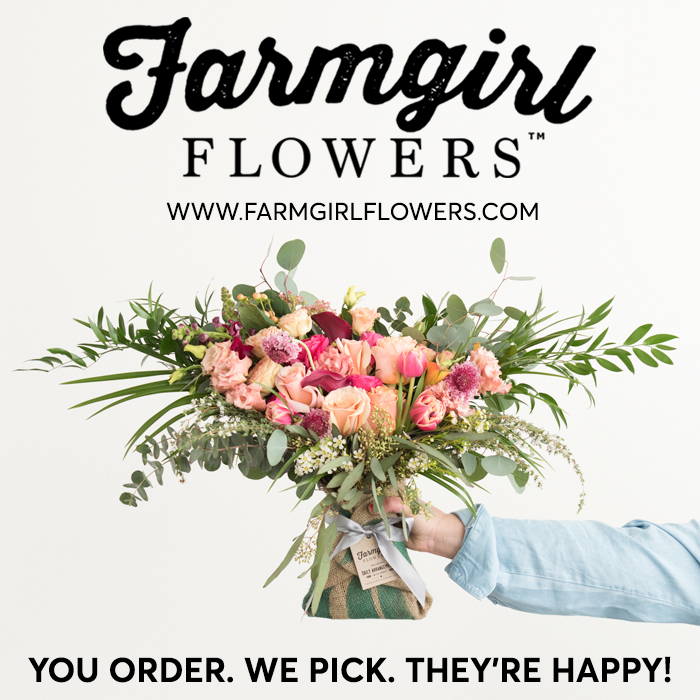 Borrow an idea created by floral designer Alicia Schwede of Seattle-based Flirty Fleurs in partnership with Seattle Wholesale Growers Market, a farm-to-florist cooperative. 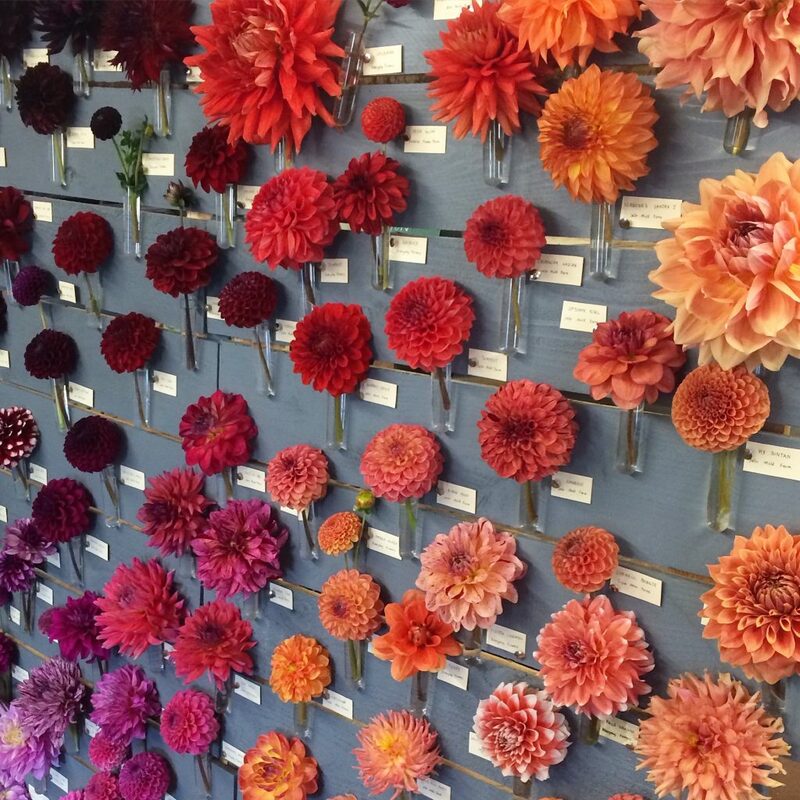 Each summer since 2014, Alicia and SWGM staff have produced a “Dahlia Wall” for the Market’s annual dahlia festival. 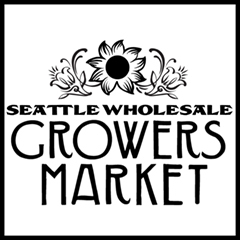 The installation showcases the vast array of dahlia colors, varieties and sizes available to florists, designers and retailers who source locally-grown flowers from SWGM. Alicia envisioned a freestanding wall, measuring about 7-feet high and about 8-feet wide. She enlisted her husband Chad Siedlik to construct the wood-framed display with horizontal boards, which she painted charcoal gray. 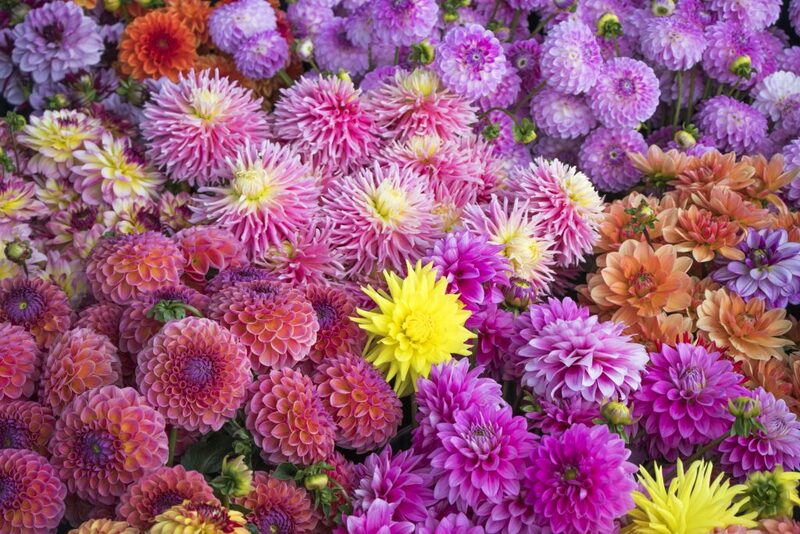 As it turns out, that is an ideal backdrop color for showcasing the vase palette of dahlia blooms. Chad drilled a tiny hole just below the rim of 150 plastic test tubes, one per flower, and hung each tube from a small nail arranged to cover the wall. The tubes are filled with water and each holds one flower on the vertical display. Alicia works with SMGM staff and volunteers to organize the visually compelling array. She clusters similar colors together and places flowers in a gradient arrangement from pale to dark. 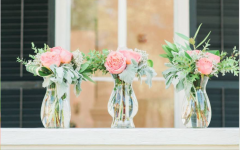 “Transitional” hues allow the petals to flow from one color to the next, such as coral dahlias blending into those with apricot petals blending into pure yellow flowers. 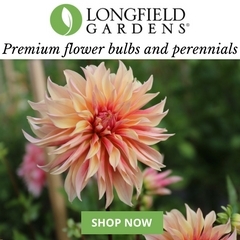 The final impression is eye-catching and instructional, as each dahlia is labeled by variety and grower. The materials and labor are minimal and the impact is swoon-worthy. “Yes, this installation takes hours to put together, but we make sure each dahlia is tagged with its name and the name of its grower,” Alicia acknowledges. 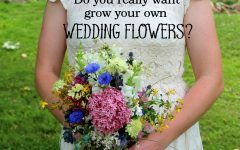 Do You Really Want to Grow Your Own Wedding Flowers?